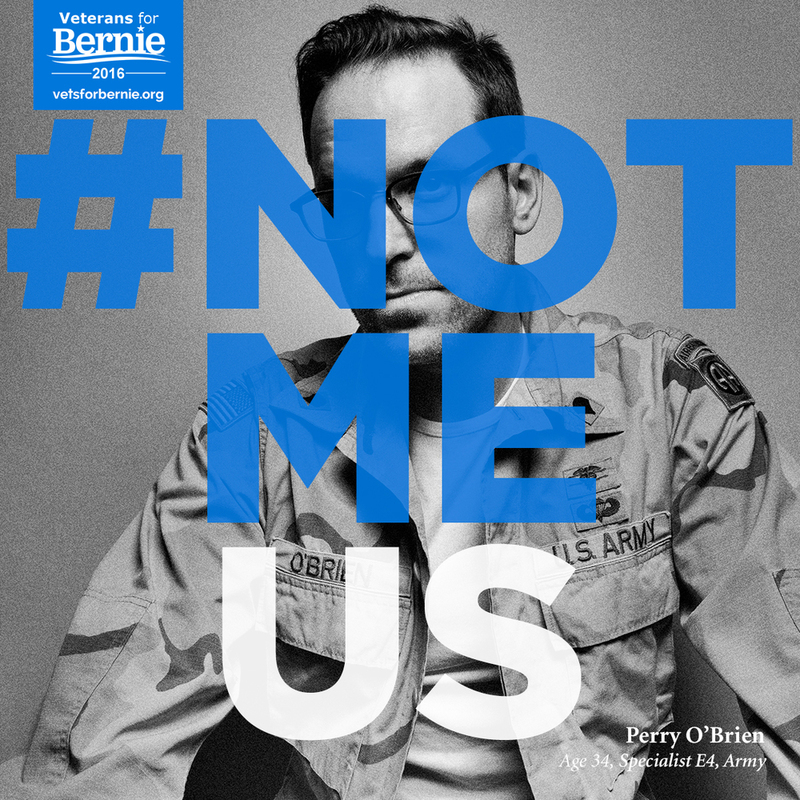 I was proud to donate my efforts as a photographer and creative director for this social media campaign in support of a group of military veterans that advocate for the presidential candidacy of Bernie Sanders. 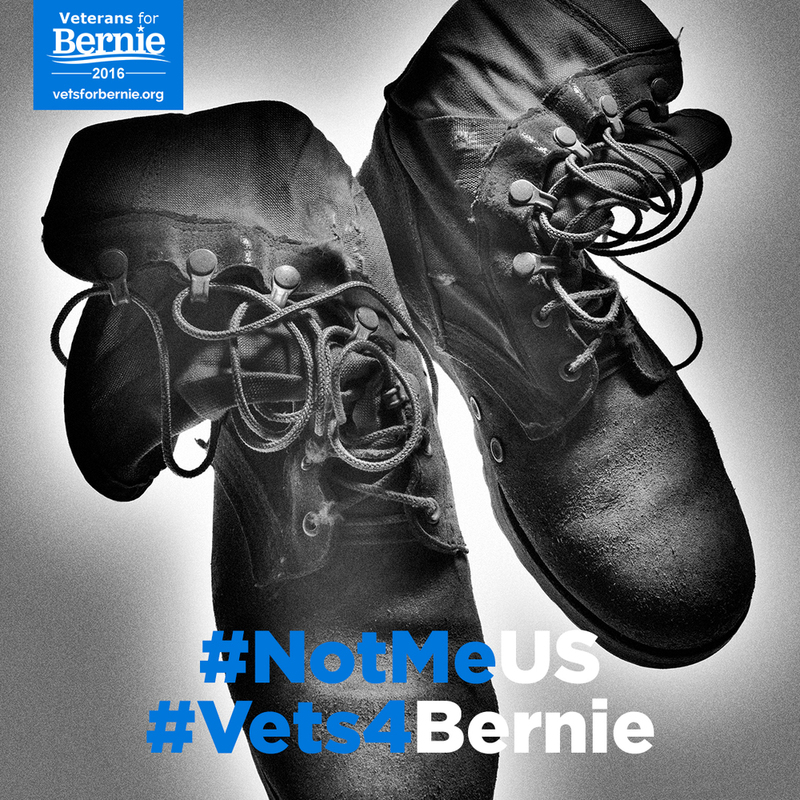 I spent a day photographing portraits of each veteran, as well as personally-significant artifacts of their service, from uniform patches, to medals, to dusty combat boots that were worn on deployment. 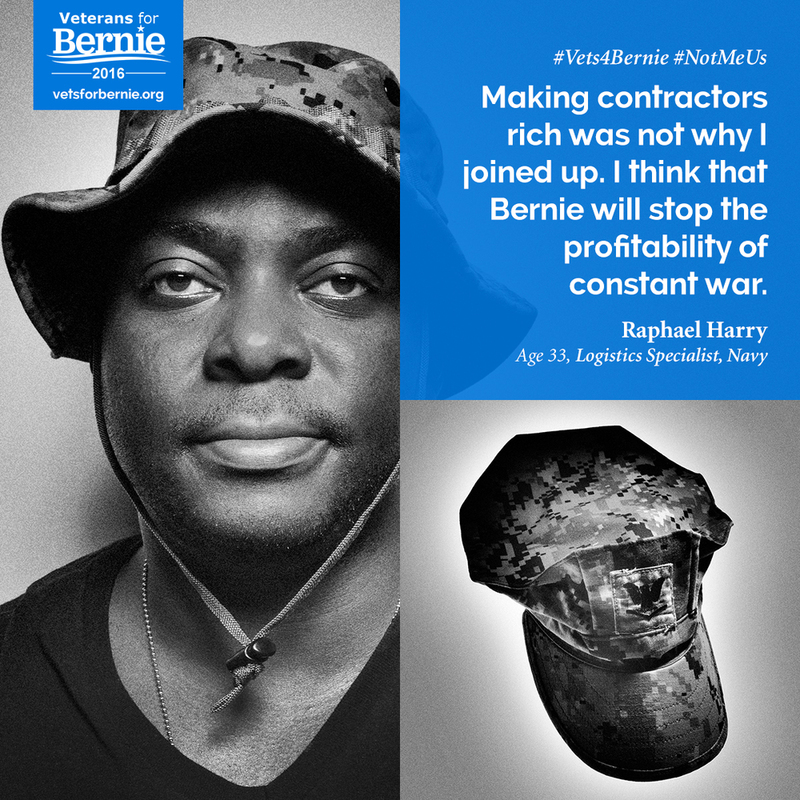 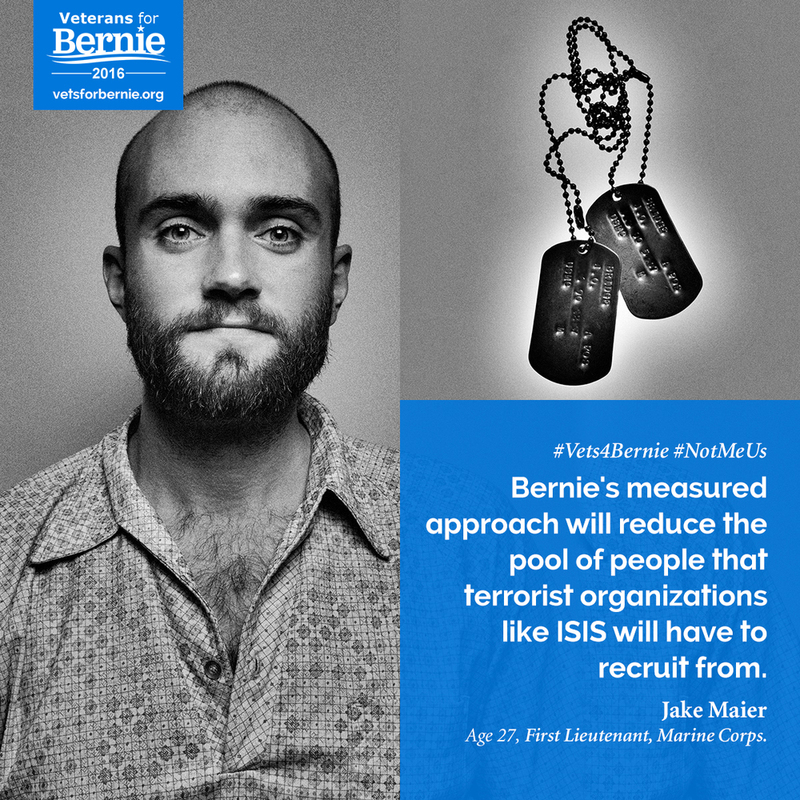 The campaign pairs the images I created with quotes from the vets about what Bernie's candidacy means to them, through the lens of their service. 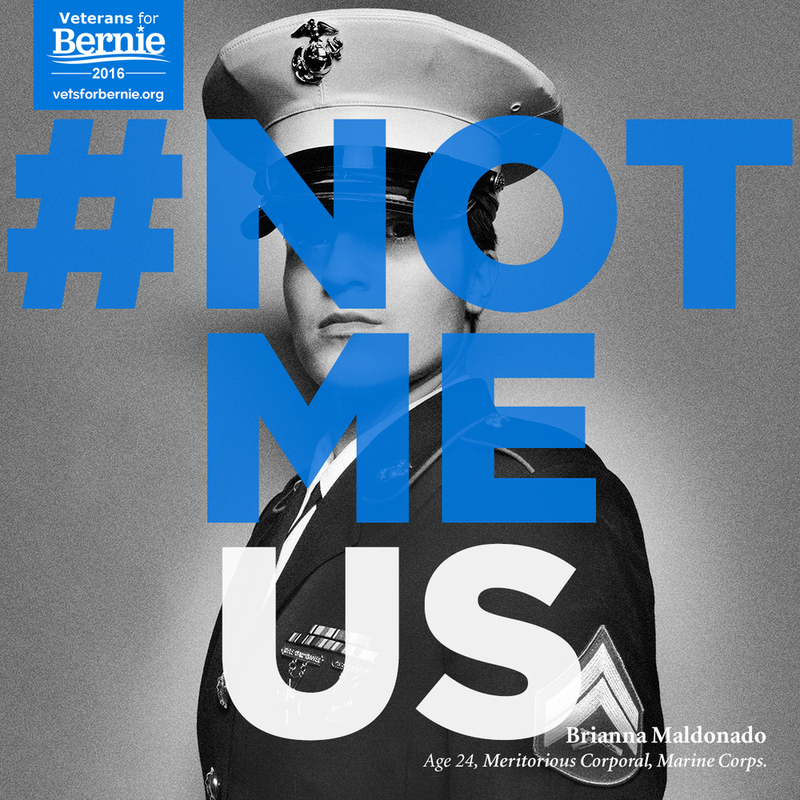 Dozens of variations were created for people to share on social media, and are housed on a dedicated site, along with quotes from the candidate, and his campaign video referencing veterans and their service.